Humans have been sailing long before flying or going to outer space. Thus, giving birth to various stories and rumors. Rumored stories amongst which includes sea monsters and ghost ships. The likes of lock ness monster, Mary Celeste, and the Flying Dutchman have been around for centuries. But there have also been mysterious happenings at sea that date back to just a few decades. This includes today’s featured story of the mysterious demise of the S.S. Ourang Medan. In either June 1947 or late February 1948, many ships that were sailing along the Straits of Malacca near Sumatra. Malaysia received a chilling SOS by an unidentified vessel. All Officers, including the Captain, are dead. Lying in chartroom and bridge. Possibly whole crew dead. … I die. After this spine-chilling message, there was no other communication from the mystery ship. The signal was picked up by two American vessels who pinpointed the location of the Dutch freighter S.S. Ourang Medan. It was possible by triangulating it using Dutch and British listening posts. The ship that first reached the distressed freighter was an American merchant ship called the Silver Star. As the Silver Star approached the Dutch freighter, no signs of life were seen forcing the captain of the merchant ship to board the other to find out the cause of the lack of communication with the crew. However, when the search crew stepped onto the deck of the S.S. Ourang Medan, they met with a horrifying scene. A terrifying scene straight out of a ghost ship movie. The decks of the ship had corpses of the crew who all had a wide-eyed face filled with soul-crushing terror. Their positions looked like they were trying to push away and fight off something or another. The ship’s dog also died while snarling at whatever killed them. Similar to the crew, the Captain was found on the bridge, other officers were found in the chart-room and wheelhouse. Even the radio operator, who is assumed to have sent the SOS was at his station with the same expression. The first oddity was when the ambient temperature was over 100 F. They felt a disturbing chill that was emanating from somewhere on the ship. The second oddity was the bodies of the dead crewmen had no injuries to account for their deaths. It could also be seen that the bodies were decomposing quicker the normal. The third oddity is the ship didn’t seem to have suffered any damage itself. That is why the Captain of the Silver Star ordered the S.S. Ourang Medan to be towed back for salvage. The final and fourth oddity of the S.S. Ourang Medan was when the ships were tied together. The smoke was seen to be coming from the No.4 cargo hold of the freighter. This immediately made the Silver Star severe the tow rope attached to the now smoking ship. Just a few moments later, the S.S. Ourang Medan exploded with strong force. The force that lifted out of the water before coming down and sinking to its eternal resting place. The reason the S.S. Ourang Medan is considered a mystery is no one has found the registry of the ship. Even in the Dictionary of Disasters at sea 1824-1962 or Lloyd’s Shipping registers. There is also speculation that the S.S. Ourang Medan didn’t exist due to the lack of registration. Or the fact that the crew who first saw the freighter had been very tightlipped about the incident. In May 1952, The United States Coast Guard noted the first official account of the S.S. Ourang Medan with witness testimonials. The testimonials were from the rescue crew and their discovery of the dead crew members. What Could The Cargo Hold That Caused The Explosive End Of The S.S. Ourang Medan? 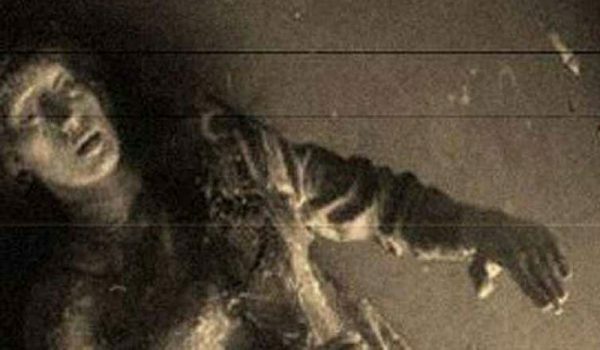 There are many farfetched theories about the mysterious circumstances of the S.S. Ourang Medan and its demise. But one of the most logically sounding theories brought forth by Professor Theodor Siersdorfer of Essen in Germany. Theodor had dedicated 50 years to understand what happened to the S.S. Ourang Medan and its crew. Siersdorfer bases a lot of his findings of a German booklet published by Otto Mielke in 1954. Das Totenschiffin der Südsee is the booklet that got published. This booklet has been authenticated by one of the rescue crew on the Silver Star. It states not only the name of the captain but also the route of the ship. Also, the cargo holds contained Potassium Cyanide and Nitroglycerin. These two chemicals are known to be highly dangerous and volatile. That is why they are not recommended to be transported through rough seas. Could Sinister Chemical Weapons Be The Reason For The Horrifying Death Of The Crew? Another strong theory about what happened to the crew of the S.S. Ourang Medan is related to biological weapons designed and manufactured by Japanese scientists led by Japanese bacteriologist called Shirō Ishii. 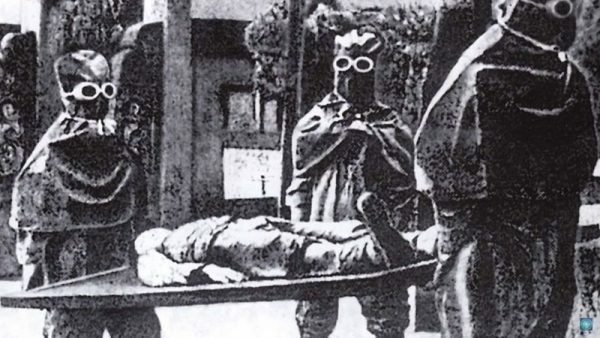 Ishii was the part of Unit 731 that performed insidious experiments of American, British and Australian war prisoners. These tests were even more sinister and insidious than the Nazi experiments. This includes creating dangerous biological and chemical weapons to help Japan eliminate its enemy. The theory for the crew death of the S.S. Ourang Medan states the experiments and biological weapons of Unit 731. They were secretly shipped from the country to another that ended up leaking onto the ship. 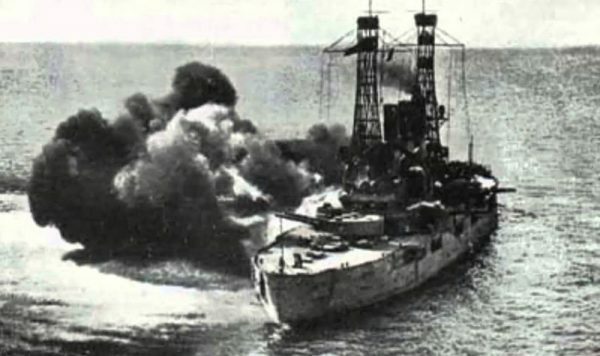 Thus, killing its crew and causing the final explosion that sunk the S.S. Ourang Medan. These were the two most probable theories about the S.S. Ourang Medan and its mysterious end. Also, there are other theories which don’t have as much evidence, including UFOs, methane bubbles, and the boiler room fire. Anyone who really knew of what happened to the S.S. Ourang Medan didn’t come forward. That caused this tragic event into one of the most famous ghost ship stories in recent times.